Rechargeable Hearing Aids Technology Update! Recent research in the hearing aid industry has FINALLY resulted in high-quality and reliable rechargeable hearing aids. Those of us in the industry — including our team at Audiology Innovations in Calgary, who specialize in hearing loss, hearing aids and more — have been waiting for this for a very long time. It is nice to give our patients the option of rechargeable hearing aids for a number of reasons. First of all, they are environmentally friendly as single-use batteries are no longer required to operate rechargeable hearing aids. Secondly, they are more convenient for our patients. They’ll no longer be in the middle of something important when their battery stops working. Finally, many of our patients have manual dexterity or visual issues. It can be hard to insert the tiny batteries into their hearing aids without dropping them on the floor or sometimes even damaging the hearing aid. We are proud to be one of the first providers of the new RELIABLE rechargeable battery hearing aids offered by both Phonak and Unitron, two of the leading manufacturers in the industry. 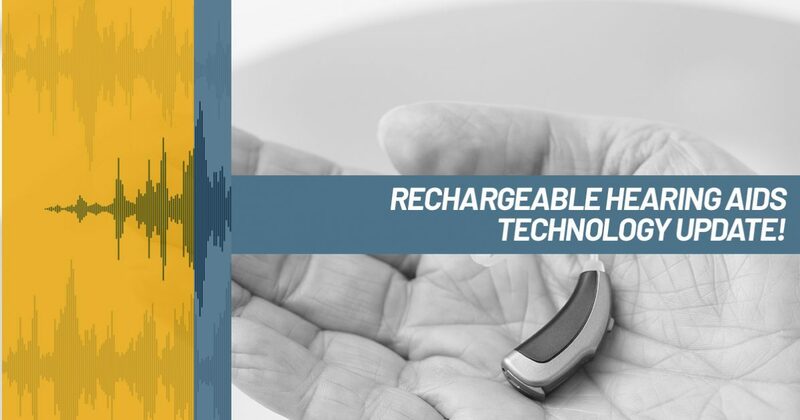 The current available rechargeable hearing aids are a bit larger than the non-rechargeables, but for many patients, this is less important than the ease of use of the rechargeability. These companies have well thought out designs which include a hearing aid case that doubles as the ‘charging device’. They even provide a small backup or travel charger. This is great thinking for those times when the power goes or if you need to travel somewhere. We have had good success so far and look to the future as more and more hearing aids become rechargeable. At Audiology Innovations, we provide complete hearing evaluations and other audiology services for adults. Contact us today for more information!